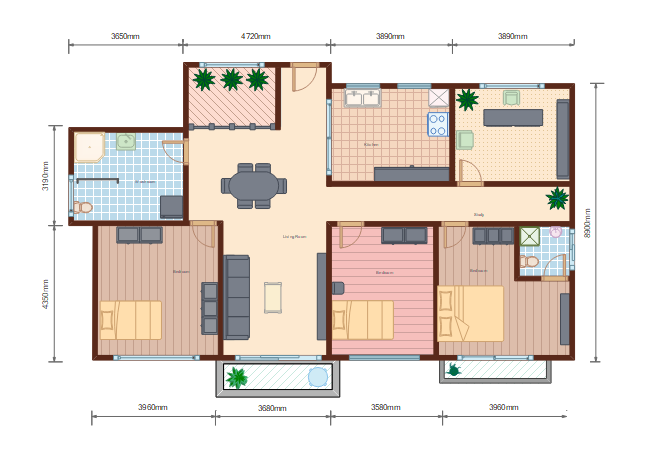 Description: Try this neat and clean middle size home plan template from Edraw for your lovely interior design. Simply drag and drop any of the preset symbols on your drawing canvas if you have limited floor plan design experiences. Check out it right now.